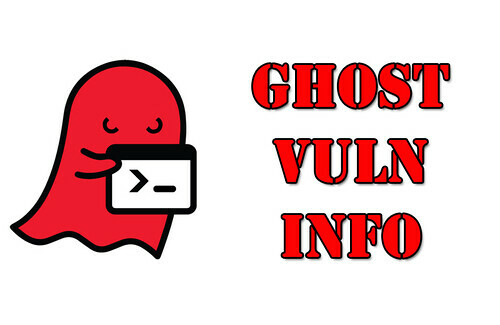 So the big panic in the past week or so has been about this GHOST vulnerability in glibc which under certain circumstances can allow remote code execution (serious business!). So we’ve had Heartbleed, POODLE and Shellshock and now we have awfully cute GHOST. The patches were released by major vendors on January 27th, so most people should be patched by now. It’s pretty widespread because basically every Linux system has GNU C Library or glibc, so before patching pretty much every Linux system is vulnerable (apart from Ubuntu 14.04 LTS which is safe out of the box). ldd --version ldd (Ubuntu EGLIBC 2.11.1-0ubuntu7.19) 2.11.1 Copyright (C) 2009 Free Software Foundation, Inc. This is free software; see the source for copying conditions. There is NO warranty; not even for MERCHANTABILITY or FITNESS FOR A PARTICULAR PURPOSE. Written by Roland McGrath and Ulrich Drepper. ldd --version ldd (Ubuntu EGLIBC 2.11.1-0ubuntu7.20) 2.11.1 Copyright (C) 2009 Free Software Foundation, Inc. This is free software; see the source for copying conditions. There is NO warranty; not even for MERCHANTABILITY or FITNESS FOR A PARTICULAR PURPOSE. Written by Roland McGrath and Ulrich Drepper. Which is the patched version for Ubuntu 10.04 LTS. Qualys managed to develop an actual working exploit for this by sending a specially crafted e-mail to an unpatched machine they could get a remote Linux shell. They claim that this bypasses all existing protections (like ASLR, PIE and NX) on both 32-bit and 64-bit systems. The first vulnerable version of the GNU C Library affected by this is glibc-2.2, released on November 10, 2000. It was fixed on May 21, 2013 (between the releases of glibc-2.17 and glibc-2.18). Unfortunately, it was not recognized as a security threat; as a result, most stable and long-term-support distributions were left exposed including Debian 7 (wheezy), Red Hat Enterprise Linux 6 & 7, CentOS 6 & 7, Ubuntu 12.04, for example. They also tested a lot of software and found most of the major ones are not vulnerable (so stop panicking) – apache, cups, dovecot, gnupg, isc-dhcp, lighttpd, mariadb/mysql, nfs-utils, nginx, nodejs, openldap, openssh, postfix, proftpd, pure-ftpd, rsyslog, samba, sendmail, sysklogd, syslog-ng, tcp_wrappers, vsftpd, and xinetd are not vulnerable to GHOST. So yah, it’s not that easy to exploit, it’s not the end of the Internet as we know it. Honestly if you’re unpatched, you’re not super likely to get hit by this – but there is a small risk so if you can, do patch. 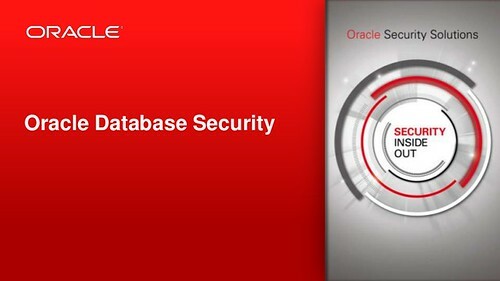 Oracle Auditing Tools is a tool kit that could be used to audit security within Oracle database servers. OAT uses CREATE LIBRARY to be able to access the WinExec function in the kernel32.dll in Windows or the system call in libc on Un*x. Having access to this function makes it possible to execute anything on the server with the same security context as the user who started the Oracle Service. So basically all accounts with default passwords, or easy guessable password, having this privilege can do this. OAT has a builtin TFTP server for making file transfers easy. 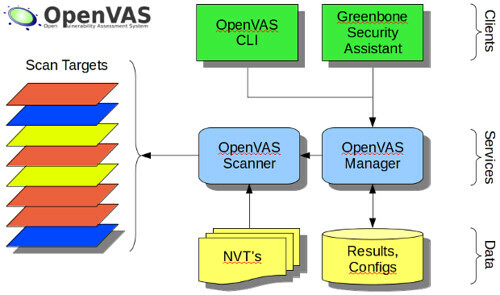 The Tools are Java based and were tested on both Windows and Linux. They should hopefully also run on any other Java platform. OraclePWGuess – A dictionary attack tool that can be used with user supplied dictionaries or with the builtin support for finding default accounts. This is not the first Flash Zero Day and it certainly won’t be the last, thanks to the Sandbox implemented in Chrome since 2011 – users of the browser are fairly safe. Those using IE are in danger (as usual) and certain versions of Firefox. It has been rolled into the popular Angler Exploit Kit, which seems fairly prevalent although not as popular as Blackhole historically. A zero day Flash vulnerability is being actively exploited by criminals using the popular Angler exploit kit. Adobe is investigating the report by respected French malware researcher Kafeine, who found the exploit kit circulating on cybercrime forums. 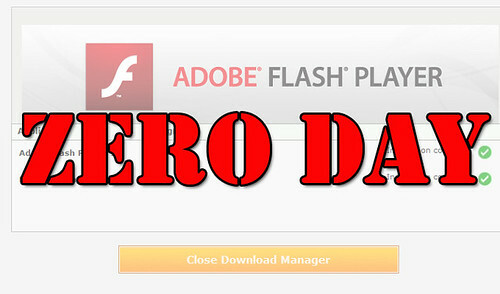 The vulnerabilities affected Flash Player versions up to 15.0.0.223 and the latest 16.0.0.257, he said. Punters on Windows 8.1 are safe, along with those using Google Chrome thanks to use of sandboxing. Those operating other Windows platforms with Internet Explorer versions 10 and below, and some Mozilla Firefox versions, have been confirmed as vulnerable to the exploit. The free version of MalwareBytes’ Anti-Exploit tool prevented the attack, but it is as yet unknown if Microsoft’s Enhanced Mitigation Exploit Tool can fight the attack. It’s not yet known if Microsoft EMET blocks this attack, but MBAE does. It seems like the drive by malware slingers are stepping up their game and investing time into obfuscation and encrypted payloads to make detection/blocking more difficult. The exploit kit drops the Bedep trojan which could serve as a persistent advertising slinger and malware downloader, (last version of Win7 at least) is bypassed. Angler remains one of the most proflic exploit kits. The zero-day came as Cisco warned separately that exploit kit writers were taking more time to write obfuscated code. This would ostensibly prolong the life of investments such as the discovered Flash zero day that would decrease in effectiveness after users applied the imminent Adobe patches. Cisco bods in a new annual report (pdf) painted Angler as the most active kit last year, followed by Sweet Orange and Goon. “Angler’s use of Flash, Java, Microsoft Internet Explorer, and even Silverlight vulnerabilities makes this exploit kit the ‘one to watch’,” Cisco bods said. “Once the exploit is triggered, the malware payload is written directly into memory in a process such as iexplore.exe, instead of being written to a disk. “The payload delivered by Angler looks like a blob of encrypted data, which makes it harder to identify and block.” Angler was more popular having spiked in August thanks to a developer decision to nix the need to download Windows executables to foist malware. It seems like there’s quite a few Exploit kits floating around, which basically bundle together a whole set of exploits and pop a web browser however they can to install further malware, things like Bedep just slurp down even more malware and install that covertly on a victims machine. That’s usually why when you see an infected machine, it has a LOT of malware on it – not just one thing. Developers generally like to share their code, and many of them do so by open sourcing it on GitHub, a social code hosting and collaboration service. Many companies also use GitHub as a convenient place to host both private and public code repositories by creating GitHub organizations where employees can be joined. Sometimes employees might publish things that should not be publicly available, things that contain sensitive information or things that could even lead to direct compromise of a system. This can happen by accident or because the employee does not know the sensitivity of the information. 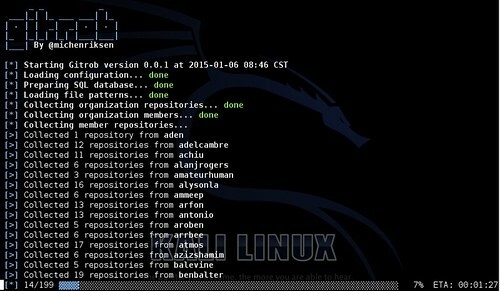 Gitrob is a command line tool that can help organizations and security professionals scan Github for sensitive files exposed in their repos. The tool will iterate over all public organization and member repositories and match filenames against a range of patterns for files, that typically contain sensitive or dangerous information. Looking for sensitive information in GitHub repositories is not a new thing, it has been known for a while that things such as private keys and credentials can be found with GitHub’s search functionality, however Gitrob makes it easier to focus the effort on a specific organization. Or read more here – the author can be found on Twitter here @michenriksen. 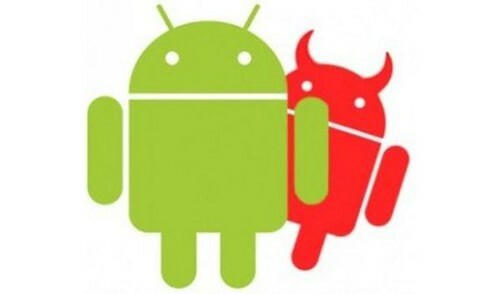 So it seems the Google corporate motto/slogan “Don’t be evil” is falling down again, Google is adopting a very Microsoft-esque approach and orphaning users of older version of Android (basically anything before the current production version 4.4 AKA Kit Kat). Which is the majority of Android users right now, especially those using lower end devices are unlikely to get 4.4 updates and even less likely to get the upcoming Android 5.x version which is coming to most providers early this year. WebView vulnerabilities aren’t unheard of, and they only effect Android 4.3 (Jelly Bean) and below – because the newer version uses a much newer Chromium version of WebView – which is not susceptible to the current crop of exploits. Over the past year, independent researcher Rafay Baloch (of “Rafay’s Hacking Articles”) and Rapid7’s Joe Vennix have been knocking out Android WebView exploits somewhat routinely, based both on published research and original findings. Today, Metasploit ships with 11 such exploits, thanks to Rafay, Joe, and the rest of the open source security community. Generally speaking, these exploits affect “only” Android 4.3 and prior — either native Android 4.3, or apps built with 4.3 WebView compatibility. WebView is the core component used to render web pages on an Android device. It was replaced in Android KitKat (4.4) with a more recent Chromium-based version of WebView, used by the popular Chrome browser. Despite this change, though, it’s likely there will be no slow-down of these Android security bugs, and they will probably last a long time due to a new and under-reported policy from Google’s Android security team: Google will no longer be providing security patches for vulnerabilities reported to affect only versions of Android’s native WebView prior to 4.4. In other words, Google is now only supporting the current named version of Android (Lollipop, or 5.0) and the prior named version (KitKat, or 4.4). Jelly Bean (versions 4.0 through 4.3) and earlier will no longer see security patches for WebView from Google, according to incident handlers at security@android.com. Up until recently, when there’s a newly discovered vulnerability with Android 4.3, the folks at Google were pretty quick with a fix. After all, most people were on the “Jelly Bean” version of Android until December of 2013. Jelly Bean’s final release was just over a year ago in October of 2013. This is why this universal cross-site scripting bug was fixed, as seen in the Android changelog and Rafay’s blog, Rafay Hacking Articles. The sad part is Google seems to acknowledge this situation and isn’t really willing to do anything about it, basically it seems like Android 4.3 has reached EOL (End of Life) and is being orphaned, Google will not be providing patches any more – even for critical security issues like this. Perhaps it’s a forking issue and the fact the core of WebView is different now, because other components of Android 4.3 will be receiving back-ported patches. So, Google is no longer going to be providing patches for 4.3. This is some eyebrow-raising news. If the affected version [of WebView] is before 4.4, we generally do not develop the patches ourselves but do notify partners of the issue[…] If patches are provided with the report or put into AOSP we are happy to provide them to partners as well. When asked for further clarification, the Android security team did confirm that other pre-KitKat components, such as the multi-media players, will continue to receive back-ported patches. Knowing Google, I don’t foresee them changing their stance on this – they might because of community/media pressue – but honestly I find that unlikely. Either way, we shall keep an eye out – because if they don’t patch these kind of issues we could be looking at some large-scale Android worm/malware infections popping up on the back of this.